Sybil poses next to the famous statue. Sybil is played by 16-year-old Kailie Nolan of East Durham, a hamlet in the Catskills. 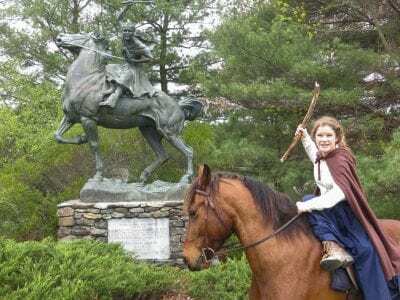 History came to life throughout the Putnam County seat Thursday when Sybil Ludington rode into town atop her mount, warning … Please login below or purchase a subscription to the Putnam County Courier to access this content. 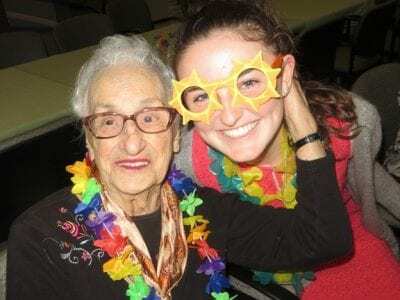 Carmel Police say the murder of a 75-year-old Mahopac woman was “not a random act of violence or a crime of opportunity.” Police Chief Michael Cazzari told a news conference Friday afternoon that the greater Mahopac community is “… Please login below or purchase a subscription to the Putnam County Courier to access this content. Crew Binette and his special date, Taylor McCarthy, prepare for the prom. Crew Binette was the star of the show. 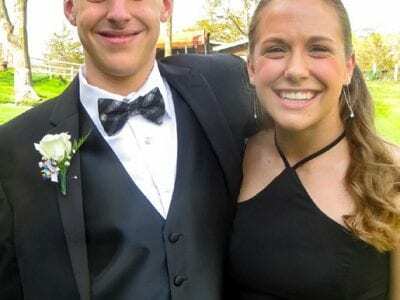 The 16-year-old Pawling youth, who is autistic, was greeted with cheers and applause Friday evening at the Pawling High School’s Ju… Please login below or purchase a subscription to the Putnam County Courier to access this content. Metro North President Joseph Giuletti (second, left) congratulates Jeff Ballard (third from left) and other MTA employees involved in last month’s saving of a life at the North Brewster Railroad yards. 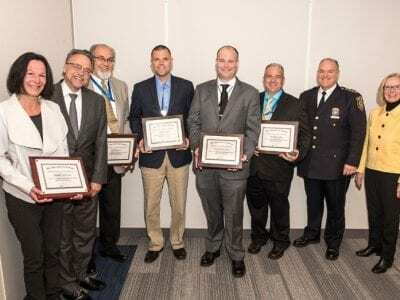 Several Metro-North employees were honored… Please login below or purchase a subscription to the Putnam County Courier to access this content. 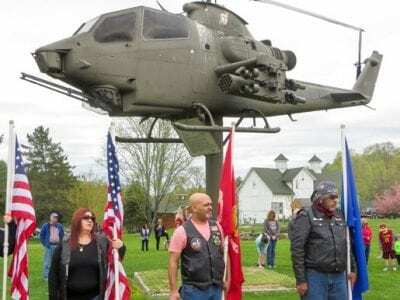 Members of the New York Riders stand at attention beneath a Vietnam era helicopter. Below: County Executive MaryEllen Odell addresses the gathering with Karl Rohde at her side. Scores of veterans and their families gathered at the Putnam Veterans Mem… Please login below or purchase a subscription to the Putnam County Courier to access this content. “CFA” has been a buzzword in politics and economic development in New York state for a while, yet few seem to understand it. 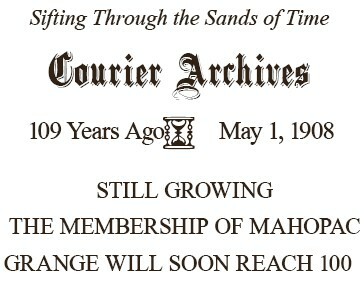 With the process now in its 7th year, the state website says, “The CFA process marks a fundamental shift i… Please login below or purchase a subscription to the Putnam County Courier to access this content. What a difference a year makes! For the first quarter of 2016 Putnam experienced the largest percentage increase of sales tax revenue of any county across New York State with a 16.4 percent boost leaving neighboring counties in the dust. Commissione… Please login below or purchase a subscription to the Putnam County Courier to access this content. Lake Mahopac, April 28—The Grange now has 88 members. At the last meeting which was held April 21, enough applications were received to raise the membership to 99. More are expected at the next meeting. Freeman Fisher, the lecturer, gave… Please login below or purchase a subscription to the Putnam County Courier to access this content.